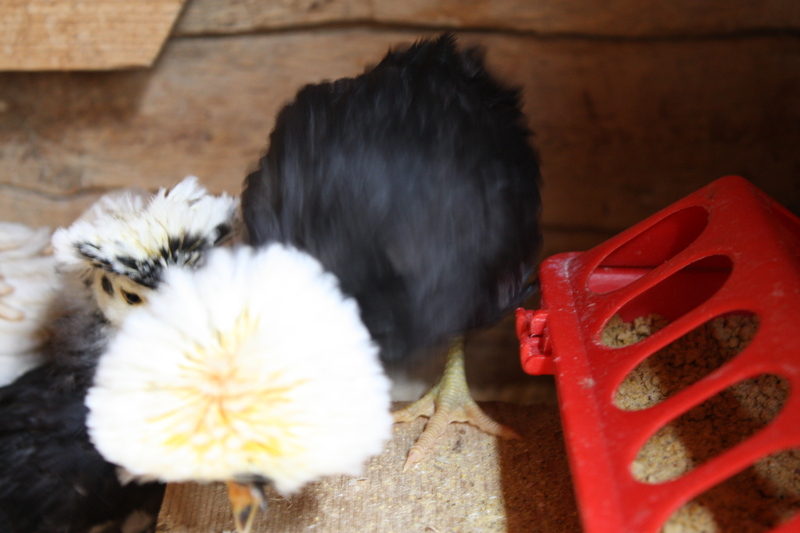 This exotic little White Crested Black Polish chicken is a charmer and becomes a little more gorgeous every day. She is one of two selected for our flock and has been named Marilyn for he dishy blonde crown of feathers. A natural extrovert, this little chick is in to everything and darts around the brooder house like she owns the place. At feeding time she is the first one to step forward. She will eat from my hand, and yesterday I had to physically toss her out of the feed tray so I could close the lid after re-filling it. Sister Phyllis, shown on the left, was not endowed with such a gorgeous mop of blonde feathers. Maybe she’ll catch up along the way, or merely resort to developing her other assets. Who says blondes have more fun? 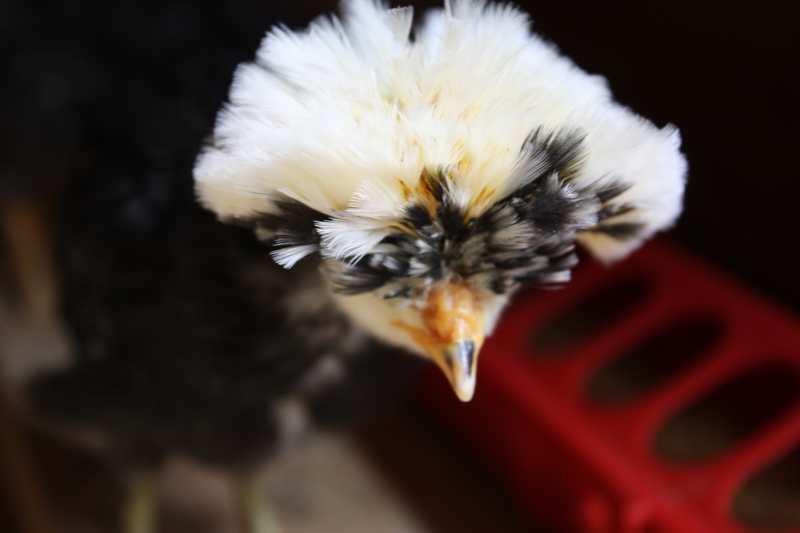 This entry was posted in Wildlife blog and tagged White Crested Black Polish Chicken by bygeorge. Bookmark the permalink.